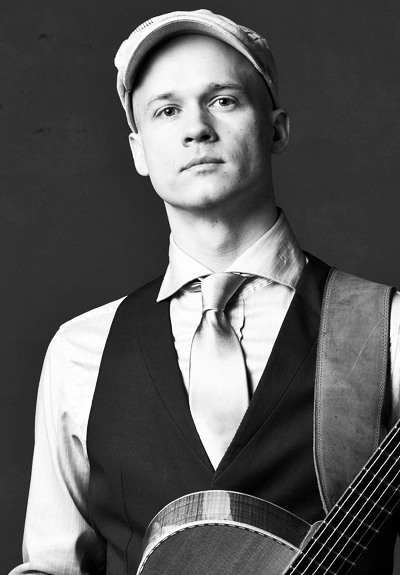 He has opened concerts for Tori Amos (USA), Andy McKee (USA) and Rodrigo Y Gabriela (MEX), and collaborated with Jon Gomm (UK), Mike Dawes (UK), Doug Wimbish (Madonna, Living Colour), Osmo Ikonen (Sunrise Avenue), Felix Zenger (James Brown, N.E.R.D. ), just to mention a few. When Sariola is not doing acoustic solo shows, he's playing electric guitar in Don Johnson Big Band, The Northern Governors and Dead Sirius 3000. "I found the Forest Green Compressor and the Little Green Wonder around 2009. These pedals had the sound that I had been looking for years. They instantly became my go-to pedals and they're on practically all the time. I have the LGW overdrive even on my acoustic board!"